Lloyd Baggs first got into guitars by modifying, refinishing, retuning and then returning old Gibsons and Washburns. After building his first guitar in a California garage, Lloyd took it to his idol Ry Cooder and instantly received his first commission. It was during the recording of Ry Cooder's Bop Till You Drop album that the L.R. Baggs transducer pickup was inspired. In the studio, Lloyd spotted an exact Takamine copy of the guitar he built, complete with a transducer pickup system. After recovering from the shock of seeing a replica of his instrument, he quickly became intrigued with the wonderful possibilities of the piezo ceramic transducer pick-up for the acoustic guitar. Realising he was onto something, Lloyd set to work on his first L.R. Baggs product: the LB6 Series Pickup. The pickup was a huge success and has now been in production for over 20 years. Over the years, L.R. Baggs continued to build on their reputation and found a strong following with the M1 soundhole pickup, counting legends such as Paul McCartney, David Gilmour, and Coldplay as devotees. View the full list of L.R. Baggs artists here. The company has since gone on to develop further ground breaking pickups, more recently with the much lauded Anthem and Anthem SL. Not only do L.R. Baggs now produce pick-ups for acoustic guitars, but also for violins, mandolins and ukeleles. Click here to download the L.R. Baggs brochure. Branching out into the preamp arena, L.R. Baggs created the Venue DI for live work and the Para DI for studio quality sound transfer, with the GigPro and MixPro as smaller (belt clip) options. These products are now standards among any serious sound engineer's arsenal. Read more about the L.R. Baggs story here. The Award-winning Anthem series, featuring the patent-pending TRU•MIC technology, seamlessly combines a proprietary condenser microphone with the acclaimed Element pickup to deliver the warmth and fidelity of a studio-mic'd guitar anywhere you perform. Click here to read more about the L.R. Baggs Anthem. The soul of your guitar is in the body, from the tone woods it's made of to the fine details in the way it has been put together. Standard magnetic pickups hear only dry strings, resulting in an 'electric sound that omits the true acoustic voice of your guitar. In contrast the M80 hears the entire frequency range of the tone woods, thereby contributing warmth and complexity to your amplified sound. Click here to read more about the L.R. Baggs M80. L.R. Baggs created the Venue DI so you can travel light, set up fast and sound incredible anywhere you plug in. Click here to read more about the Venue DI. For more information, visit the official L.R. 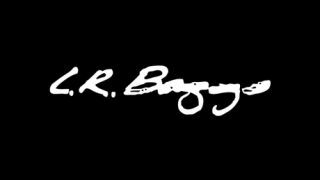 Baggs website or connect with them on Twitter, Facebook and YouTube.